Help us buy props for a piece in our next concert. $100 You are sew helpful! Purchase fabric so our talented volunteers can sew beautiful costumes for one of our pieces. $250 Hear Ye! Hear Ye! Come and See our Dancing Feet! Get the word out with postcards and flyers! $350 Costume our dancers… really, you don’t want to see naked tap dancers! Your contribution would allow us to create colorful, exciting costumes for a piece in our next concert. 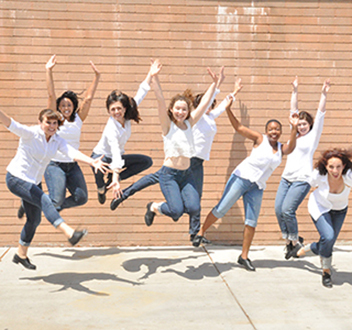 We've worked with several talented choreographers and guest artists including world famous tap dancer Chloe Arnold. Help us continue with these exciting collaborations for our next concert. Your donation will cover production costs for a full length concert. 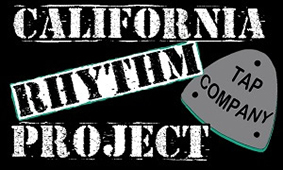 You can help keep California Rhythm Project tapping by giving $5 a month or more for 12 months. Click the Subscribe button to become a sustaining donor.